Our thinking depends on our language. When thinking, we are "speaking" with ourselves. Therefore our language influences our view of things. But can we all think the same despite different languages? Or do we think differently because we speak differently? Every people has its own vocabulary. In some languages certain words are missing. There are people who do not distinguish between green and blue. They use the same word for both colours. And they have a harder time identifying the colours! They cannot identify different hues and secondary colours. They have problems describing the colours. 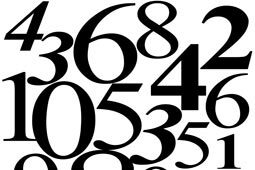 Other languages have only a few words for numbers. These language speakers can't count so well. There are also languages that don't recognize left and right. Here the people speak of north and south, east and west. They have a very good geographic orientation. But they don't understand the terms right and left. Of course, not only our language influences our thinking. Our environment and everyday life also shape our thoughts. So what role does language play? Does it set limits on our thoughts? Or do we only have words for what we think? What is cause, what is effect? All of these questions remain unanswered. They are keeping brain researchers and linguists busy. But this issue affects us all… You are what you speak? !